Card Text: The next sorcery card you cast this turn can be cast as though it had flash. (It can be cast any time you could cast an instant. )Draw a card. 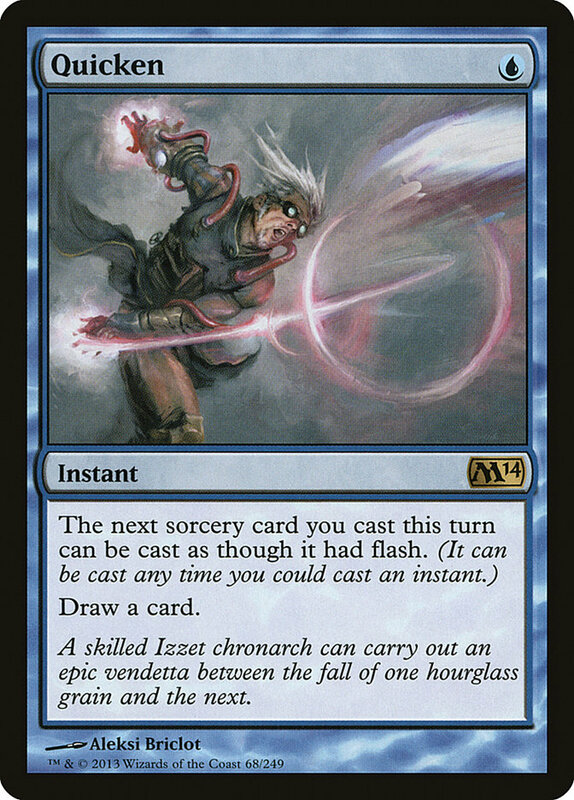 Flavor Text: A skilled Izzet chronarch can carry out an epic vendetta between the fall of one hourglass grain and the next.